Below you can view all the homes for sale in the Durant Trails subdivision located in Raleigh North Carolina. 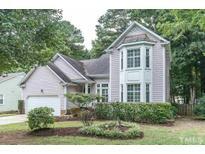 Listings in Durant Trails are updated daily from data we receive from the Raleigh multiple listing service. To learn more about any of these homes or to receive custom notifications when a new property is listed for sale in Durant Trails, give us a call at 919-928-5027. In 2018 new vinyl windows and new vinyl siding.2016/2017 replaced dual zone HVAC.2015 was a big year with a european tankless water heater installed, gutters and downspouts replaced,french drains installed,remodeled kitchen, added hardwoods to kitchen and family room, added 3rd full bath upstairs, and more! Come see and be delighted! 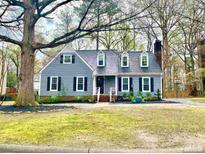 MLS#2246284. 4788. Convenient location minutes from 540, shopping, and dining! MLS#2245457. 2731.